Back injuries are a common problem in the workplace. When discussing ways to prevent back injuries, the key thing to remember is that these problems are much easier to avoid than to fix once the damage is done. Today’s blog offers a few best practices to help avoid injury and reduce lost productivity. Make sure the equipment selected is appropriate to the task and inspect it before putting it to use. 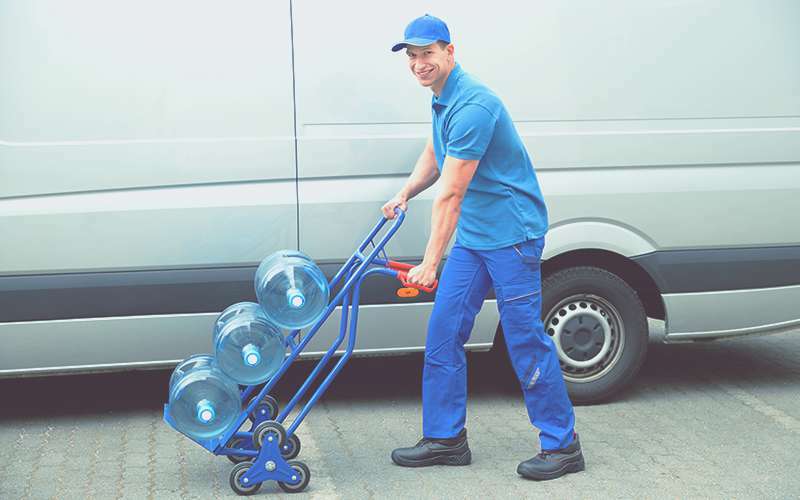 When stacking a load, place the heaviest items on the bottom and keep the weight concentrated between the wheels. When using equipment such as dollies, push the load instead of pulling – this gives the operator more control and greater leverage. Never allow the use of a forklift or other lifting aids unless the worker has received all necessary training and are authorized by your management to do so. Whenever possible, arrange work environments so they are “back friendly.” The safest lifting zone is between an individual’s shoulders and waist because it eliminates the need for reaching or bending. When storing objects on shelves, the heaviest objects should be placed at this “middle” height, with higher and lower shelves reserved to store objects that weigh less. Loads should not be put down on the floor. Use a table or elevated surface instead to eliminate the need to reach down. It’s a good idea to stretch before doing any lifting. This gets the muscles warmed up for the work ahead and helps prevent painful strains and sprains. Workers who do a lot of lifting throughout the day should also take short “micro-breaks.” It’s a chance to rest the back and to do additional stretches that keep the muscles loose. Stand with the back of your head, your shoulder blades, and your buttocks touching a wall. Place your feet so that your heels are about 4 to 6 inches away from the wall. Now slide your hand, with the palm flat against the wall, behind the curve in your lower back. When posture is aligned, the space between your back and the wall should be about the thickness of your hand. If there’s too much space, tighten your abdominal muscles so that the curve in your lower back is flatter. If there’s too little space, give your hand more room by arching your back. Once you’ve achieved a good “fit” for your hand, step away from the wall while trying to maintain this posture. This new posture may feel unnatural at first, but it will become easier with practice. From time to time, it’s a good idea to use the wall test to recheck your posture. Need more injury prevention and ergonomics help around your workplace? Summit Training Source has the courses you need. Click the button below to find out more.